The Alward Institute for Collaborative Science is very excited to announce that the Journal of Agricultural and Resource Economics has published our latest research paper: A Method for Evaluating the Economic Contribution of a Local Food System. The paper presents an innovative method for evaluating the contribution of a region’s local food system and was authored by regional economists Phil Watson, Stephen Cooke, David Kay, Gregory Alward, and Alfonso Morales. In recent years there has been increased interest on the part of policy makers and researchers in quantifying the extent to which a region’s local food system interacts with and contributes to the regional economy. However, given the endogenous nature of local food demands, modeling the contribution that local food systems have on a regional economy has been problematic. In this paper, we present a combined hypothetical extraction and import substitution social accounting matrix model which provides a theoretically consistent and computationally feasible method for evaluating the regional economic contribution of a local food system. Furthermore, the method we present is insensitive to definitional arguments regarding what specific transactions should be included in a local food system. Finally, using several possible definitions of what constitutes a local food system, we apply this model to the state of Idaho and compare the economic contribution of the local food system with the economic contribution of the export food system. Dr. Greg Alward was awarded the Distinguished Fellow Award at the MCRSA 2016 Annual Conference. MCRSA Distinguished Fellow (The Highest Award MCRSA can bestow): The Distinguished Fellow Is the Association’s award for good standing and history of 10 years or more involvement with the MCRSA support and participation that has made significant contributions to the broader discipline of Regional Science. Individuals with particularly outstanding records of scholarship, service to the profession, and participation within the Association in the advancement of regional analysis and related fields of study, research productivity, impact of research within the broader discipline of Regional Science productivity are elected as a Fellow of the Association by the MCRSA Board of Directors. Distinguished Fellow is an honorary position of the Association in recognition of the achievements and contributions of the selected individual. David Kay elected as Vice-President at the 2016 MCRSA Annual Conference. Vice-President: The Vice-President assists the President in the conduct of the President’s duties and shall assume such other duties and responsibilities as determined from time to time by the President and the Board. The Vice-President serves as chair of the Competition Committee Chairman. The Competition Committee Chairman (The Vice President) shall be assisted by the Editor(s) of the Corporation’s Journal and two other Voting Members in good standing. Those two members are selected by the Committee Chair (The Vice President). The Alward Institute for Collaborative Science is excited to announce the release of its latest research paper: Identifying Opportunities for Growth in Michigan's Forest-product Sectors. The paper was commissioned by the State of Michigan to help identify which forest-products sectors are likely candidates for future growth. The paper was authored by regional economists Stephen Cooke, David Kay, Gregory Alward, and Philip Watson. In 2013, Michigan’s Governor Snyder proposed the goal of increasing the contribution of forest products to the state’s economy. The general category of forest products includes logging, primary and secondary wood and paper production and wood furniture. Out of the 535 sectors available in the 2013 IMPLAN data system, forest-product sectors make up twenty-seven. Which forest-product sectors have the greatest growth potential? Which ones offer the best hope of responding positively to state government’s efforts to increase exports, value added, employment and output and also work best with the non-forest-product sectors in the state? Three analytical models are used to make this determination. Each model uses coefficients derived from IMPLAN social accounting data—annual data from 2007 to 2013 available for each state with more than 400 sectors of detail. The first model generates measures of gross and base value added for Michigan, which identifies the primarily exporting and import substituting sectors. Then the changing shares of value added by sector in the state are used in a SWOT analysis (strength, weakness, opportunity and threats) to determine changing comparative advantage of each of Michigan’s forest-product sectors compared to the baselines of shares for All States and for 2007. Finally, what are the potential bottleneck sectors in the supply chains for forest products? From the induced effect multipliers, structural paths are revealed as a network of directed movements of payments from forest sector production to household consumption. The relative importance of the nodes within these networks is measured as the size of betweenness centrality. Results from these modeling exercises suggest that ten of twenty-seven forest-product sectors play key roles in the growth of this broadly defined industry in Michigan. Three sectors—office furniture and institutional furniture and paperboard container manufacturing offer an opportunity to expand exports. In the case of containers, these “exports” include increased sales to non-forest-product sectors in the state. Four sectors—paper, paperboard, shelving and veneer manufacturing—can expand both exports, as well as sales to other important forest-product sectors within the state. Three sectors—logging, sawmills and pallets—can increase sales primarily to other important forest-product sectors within the state. In fact, the lack of increased sales by these important “betweenness centrality” sectors, logging in particular, would pose a barrier to the growth in the other important forest product exporting sectors. Hence, we argue that programs and policies should support these industries as needed and where appropriate to encourage import substitution for low value-added forest-product sectors and export expansion for the high value-added ones. The Alward Institute for Collaborative Science is very excited to announce that the American Journal of Agricultural Economics has accepted our latest research paper for review: A Method for Evaluating the Economic Contribution of a Local Food System. The paper presents an innovative method for evaluating the contribution of a region’s local food system and was authored by regional economists Phil Watson, David Kay, Gregory Alward, Stephen Cooke, and Alfonso Morales. In this paper, we present a combined hypothetical extraction and import substitution social accounting matrix model which provides a theoretically consistent and computationally feasible method for evaluating the regional economic contribution of a local food system. Furthermore, the method we present is insensitive to definitional arguments regarding what specific transactions should be included in a local food system. Finally, using a broad definition of what constitutes a local food system, we apply this model to the state of Wisconsin and compare the economic contribution of the local food system with the economic contribution of the export food system. The Alward Institute for Collaborative Science is proud to announce the release of its first online GIS map. Using results from our 2012 economic impact study of the EB-5 immigration program, we’ve been able to visualize the impact of the federal program on all 50 states and 435 congressional districts. According to our results, we estimate that spending associated with EB-5 regional center investors contributed $3.39 billion to U.S. GDP and supported over 42,000 U.S. jobs in FY2012. Likewise, spending by EB-5 investors also contributed $447 million to federal government tax revenues and $265 million to state and local government tax revenues in FY2012. These estimates include direct, indirect, and induced impacts associated with investment spending, household spending, and other immigration expenses. The Alward Institute for Collaborative Science is proud to announce the publication of its latest journal article by regional economists Phil Watson, Stephen Cooke, David Kay and Gregory Alward: A Method for Improving Economic Contribution Studies for Regional Analysis. The paper was recently published in Volume 45(1) of the Journal of Regional Analysis and Policy. It presents an improved method for economic contribution analysis that utilizes a Leontief Inverse matrix and diagonal matrix of final demand to simultaneously estimate both gross and base measures of output for all industries within a region. These two measures vary by industry but sum to the regional output total observed in the underlying social accounts. 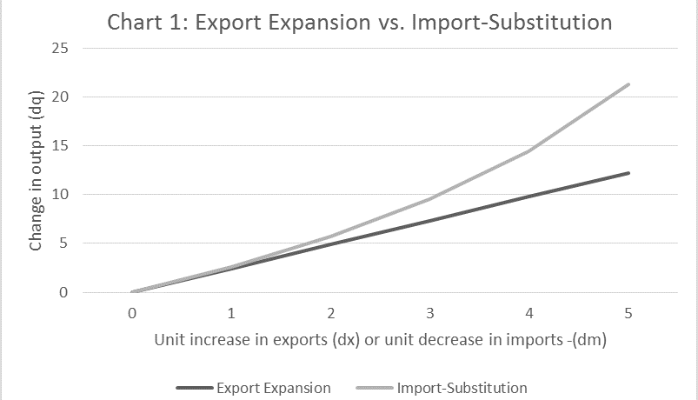 When used as a comparative statistic, these two measures provide additional insight into the role an industry plays in supporting economic activity through export expansion (attracting new dollars to a region) or import-substitution (recirculating existing dollars within a region). These insights are useful in understanding the current structure of a regional economy and targeting development strategy accordingly. Additionally, this method also prevents the possibility of double counting, relies on actual data to determine a sector's exogenous sales, and provides a way to rigorously benchmark regional impact studies. Welcome to the Alward Institute blog! Our economists and researchers will use this space to share periodic updates about our latest research projects, regional economies, market trends, and economic development, analytics, and models. Our blog posts are meant to be conversational, so please feel free to share comments, ideas, and questions plus suggest ideas for future blog posts. The Alward Institute for Collaborative Science is a 501(c)(3) non-profit institution with a mission to partner with business, government and academia in order to further research and education in regional science. Some of our current projects include measuring the economic impact of the EB-5 immigration program, estimating the value of local food systems, understanding the structure and function of regional economies, uncovering potential bottlenecks in regional supply chains, improving algorithms to estimate commodity trade flows, and much more. We are excited to share information about these and other projects through this new site. We plan to update our blog regularly. Please check back soon to see our first research post. To comment on this Blog, please register your full name and email address in our database. (Your email will not be shared.) 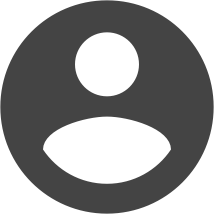 We ask that your first name and last name be used as your login ID to eliminate any confusion regarding who submitted what comments. Your password is totally your choice. We are excited to start blogging with you. As always, for more information on how to partner with us on these research projects and other opportunities, please visit our website at www.AlwardInstitute.org or call us at 970-217-3942.